My mum and I used to go to the library after school once a week. It was a stocky, imposing building with worn stone steps leading up to huge front door. It was one of my favourite places in the world. First stop was always children’s fiction. I was a miniature Terminator, my laser eyes scanning for shiny new spines until BEEP BEEP BEEP JUDY BLUME ALERT! A new Judy Blume book was always a special occasion. I would pluck it from the shelf with my grubby little fingers before anyone else could swoop in and claim my prize. Next stop: checking in on Mum, who by this point would have a pile of six or seven hardbacks she’d found on the latest releases shelf. We would enter into negotiations over how long it was before we had to go home. She’d say ten minutes, I’d say twenty. We always ended up settling on fifteen. Third and final stop: non-fiction. This is where the gerbils, hurdles and ski boots come in. I would pick a few books off the shelf, sit on the floor and read. * For some reason, the three books I kept on returning to again and again were a book about owning and caring for gerbils, a book about athletics, and one about skiing. 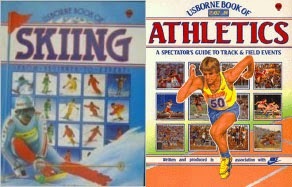 The last two were brilliant books published by Usborne. (Side note: One of the proudest moments of my life was snagging a job writing Usborne books many, many years later. I like to think my encyclopaedic knowledge of athletics and skiing had something to do with this stroke of good fortune). The book about gerbils turned out to be particularly useful. After months of careful research, my mum took me to the pet shop to get two gerbils of my very own. Thanks to my hours spent in the library, I managed not to kill Chip and Dale. The gerbils, for their part, managed to bite the skin between my fingers on only a semi-regular basis. I’d like to say that after poring over the books about athletics and skiing turned me into a sports superstar, but that would be a lie. The truth is, I always liked reading about things rather than actually doing them. But if I had wanted to become a sporty goddess, I had all the facts at my fingertips: different types of ski boots, the ins and outs of mogul skiing, how to hurdle. I knew it all. And some of that information still lurks in my brain, ready to be used at a moment’s notice. I loved that library. I’m planning to go back and visit it in a few months – for the first time in twenty years. Fingers crossed they’ll have a new Judy Blume ready and waiting for me. 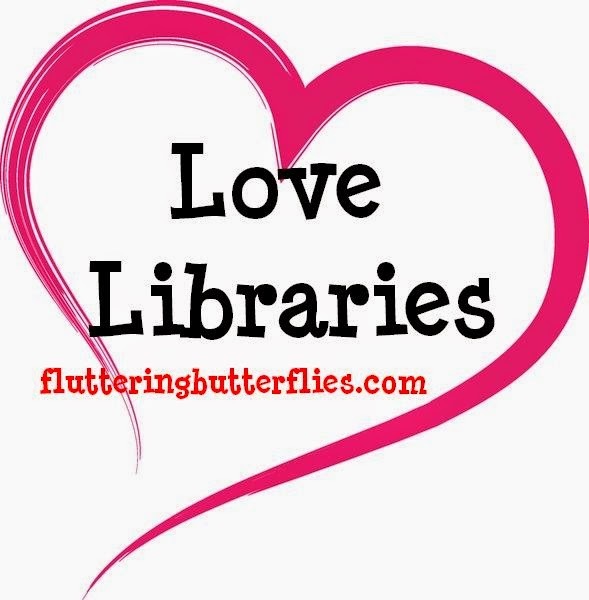 Love your library and it will love you back. And if you need any out-of-date advice about ski boots, give me a shout. *There are library scenes in most of my books, mostly because I think libraries are bloody awesome. In The Lost of the Found (out in July), the main character, Faith, visits her local library and sits on the floor of the non-fiction section to read. I wonder where I got that idea from. 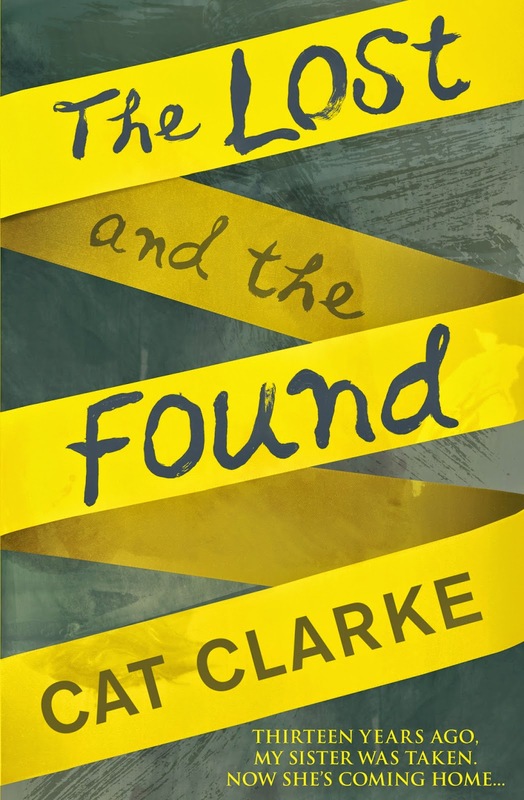 Cat Clarke is the UKYA author of several YA books including Entangled, Torn, Undone, Falling and A Kiss in the Dark. Her latest, The Lost and the Found, is being published by Quercus on 2nd July! It sounds fantastic.